Custom gear, off the rack gear....We have it all! Q: Can you quote me a price for a set of custom leathers/jacket/pants? A: We can, but actually, you dont need us to. Unless you're asking for a design that is very different that what we have, the price we advertise is the price we charge. Just check out our store, the prices are marked. In 90% of the cases, that is the price you will pay, including shipping! Q: Can you really sell a high quality suit for such a low price? A: The simple answer is YES! How? It is possible, because Spartan is a small family owned business. We have a factory-direct business model that allows you to save a lot of money, because you aren't paying any distributors or retailers their middle-men fees. Therefore, we can actually provide you with a set of motorcycle racing leathers that is made much better than the suits the industry leaders offer. Sure, they may have some extra features we dont offer to try to justify their big-bucks price tags, but nobody beats our quality and construction. Q: What is your turnaround time for a custom suit? A: It typically will take 6-8 weeks to get your custom racing suit, motorcycle jacket or pants back. During the Spring (our busy season), it may take a couple extra weeks depending on sales. It is possible it could take longer for various unforseen reasons such as natural disaster, customs delays, etc. Or if for example we ran out of leather in your color due to unusual demand, and had to tan some more leather to make your suit. But we try to avoid that. Please note: I highly recommend you do not schedule a trackday until you have the leathers in hand, and you have verified the fit. I cannot guarantee that your suit will come in before any particular date. Q: How do I order a custom suit? A: Follow the instructions on our How To Order page. Q: Im a big guy. Can you make motorcycle leathers to fit me? A: Yes! Big guys make up a large percentage of our business. We can make top quality motorcycle leathers for anyone, regardless of size, large or small. Q: How much does it cost to add [some option]? A: Spartan Leathers now has All-Inclusive pricing! That means almost all of our options [Forcefield TPro Armor Upgrades excluded] are included in the price. Custom lettering, thermal liners, double zippers, back humps, etc are all included. Shipping (to the US) is free too ! Q: Do you have anything that shows the different features and options you offer on your leathers? 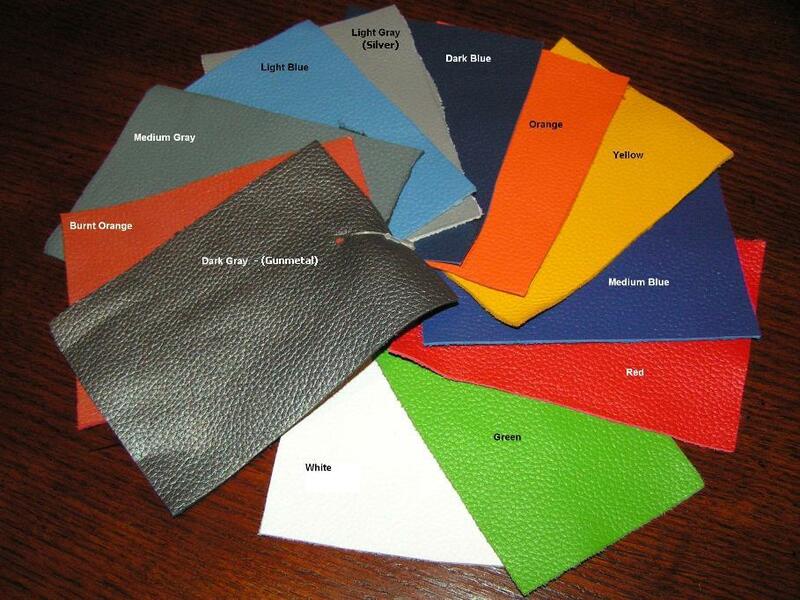 Q: Do you charge extra to have multiple colors in my custom leathers? A: No! You can have as many colors as you like. I would recommend keeping it to 3 for your own sake, so you dont look like a [clown / rainbow / name your own colorful expression]. Here is the color chart: Color Chart Black, Gold and Pink are also available, although not on the chart. Note that the Dark Gray and Light Gray colors are metallic, although it may not show on the chart. You will find these in our Online Custom Leathers Designer. Q: What payments/deposits do you require when ordering a custom made product? A: We require full payment at the time of ordering, for our custom made products. See the Return Policy [Look down] for more information. Q: Do the motorcycle leathers include knee pucks? Q: Do you have a size chart for your rack sized suits? Q: What kind of armor is in your suits? A: Every suit has CE approved GP Style armor in the shoulders, elbows and knees. This armor is foam backed with a hard plastic shell for abrasion resistance. Armor pictures can be found on the last page of our Photo Album. The suit also has a back pad, and hip padding (CE approved). If you would like even more protection, consider upgrading to Forcefield TPro armor! It's the best! Q: What is included in the Forcefield TPro 'Lite' or 'Full' package? A: The TPro 'Lite' package replaces the standard CE armor in the Shoulders, Hips, Knees and Elbows. The Full package includes everything from the 'Lite' package, plus the Forcefield TPro Pro CE Lvl-2 Backpad. Q: Can I order a suit without the Spartan logos? A: Yes, you can. It will make us weep bitterly, but just specify your preferences in your order details, and we'll take care of it. Q: I ride Cruiser/Motard/Drag/etc. Can I get a set of motorcycle leathers more suited to that, with no knee pucks and a more relaxed torso? A: Yes, that is no problem. Just specify your preferences in your order details. Q: Can I get the leathers made to go over my boots? A: Yes. At the "___ to ankle" measurements, measure to the top of the sole of your boots, rather than your ankle bone. For the calf and ankle measurements, measure over your boot. Specify that you want them made over the boot in your order details. Q: Can I get a set of motorcycle leathers made in my own design? A: Yes, but since it is not a standard design, the cost may not be the same as one of my standard suits. Email me your design, I will get you pricing, and you can decide if it is acceptable. Q: What is your guarantee policy? A: We warranty our suits from 3 years to your lifetime depending on which suit you buy. See our full warranty terms Here. However, unless we personally measure you, we cannot guarantee the fit, as we have no control over how you measure. We DO measure our suits prior to shipping and WILL correct suits that have been made incorrectly based on the measurements provided by you. For example, if you give us a measurement of a 48" chest, and we make the suit with a 46" chest, we will happily fix it. A: No returns on custom fit products. Returns or exchanges of [rack sized] products in new condition are happily accepted within 60 days. Due to offering free shipping on all our products, returns will be subject to a return fee equaling our outgoing shipping charges to you. For small items such as gloves, this will be approx $11. For suits, approx $20. A: On custom suits, if production has not begun, we will refund 100% of your suit cost. However, if production has begun, it cannot be cancelled. The standard no-refunds policy on custom suits applies. This policy is due to as once the suit has begun production, I cannot cancel the order, and it is nearly impossible to sell a suit that was made to fit someone else's body. There is no cancellation fee on "off the rack" sized suits. Q: Will motorcycle leathers prevent me from getting injured in a crash? A: This may sound like a dumb question to you, but not everybody is as smart as you are. Wearing racing leathers does not make you invincible. While leathers can help to protect you from injury, you can still get injured or even die in a crash while wearing leathers. Product Disclaimer: Motorcycling is an inherently dangerous activity, which may result in personal injury and/or death. Spartan Apparel's products are designed to offer superior riding comfort and performance and while all motorcycle riders should wear appropriate protective equipment, no product can offer complete protection from injury or damage to individuals and property in case of fall, collision, impact, loss of control or otherwise. Each individual rider should be familiar with the sport of motorcycling, recognize the wide range of foreseeable hazards and decide whether to assume the risks inherent in such activity. MOTORCYCLE RIDERS MUST BE FAMILIAR WITH THE CAPABILITIES AND LIMITATIONS OF THE MOTORCYCLE AND THE EQUIPMENT THEY ARE USING. Spartan Apparel LLC disclaims any responsibility for injuries incurred while wearing any of its products. Spartan Apparel LLC makes no guarantees or representations express or implied, regarding the fitness of its products for any particular purpose, further Spartan Apparel LLC makes no guarantees or representations express or implied, regarding the extent to which its products protect individuals or property from injury or death or damage.